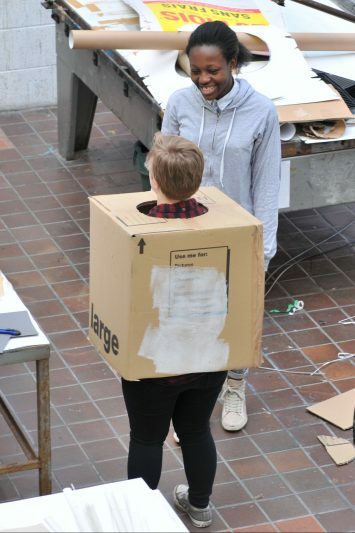 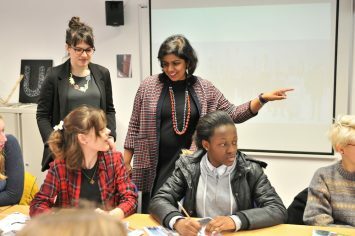 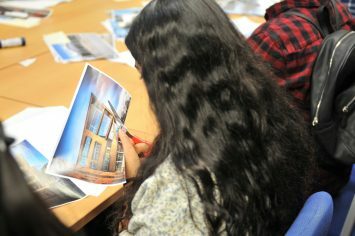 Architects Maddie Kessler and Manijeh Verghese began their Masterclass at Hull School of Art and Design with a background to architecture and to their own careers, which led into an introduction to the idea of “exquisite corpse” collages (also known as picture consequences) and the New York Beaux Arts Ball, an annual event held by the Architectural League where architects dress up as their favourite buildings. 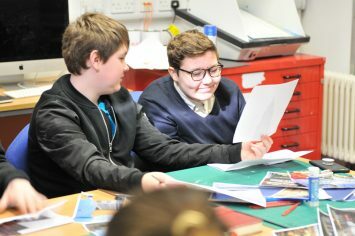 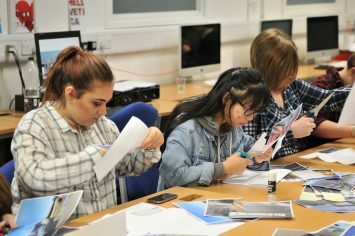 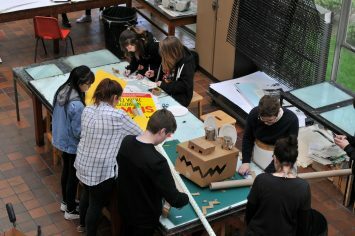 The first task was a fast-paced activity in which each Club member had to draw or create a collage of a building on to a folded piece of paper, then pass it on to the next person to continue. 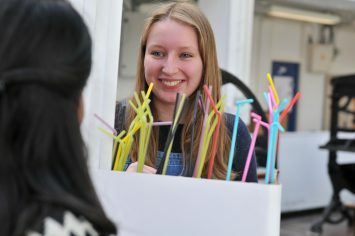 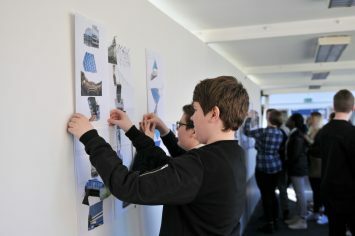 The result was 40 collaborative artworks that the young people took into the corridor and used to create a new skyline for Hull. 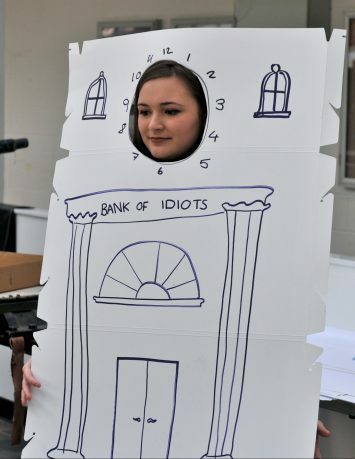 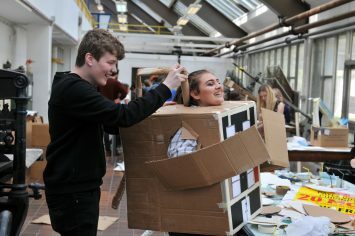 Next, they chose their favourite architectural elements and, using cardboard, straws, stickers, fabrics and other materials, made architectural fancy-dress costumes. 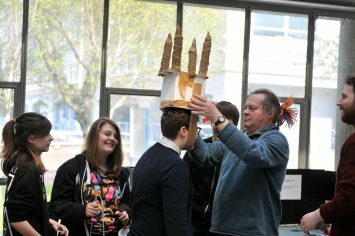 By the end of the day, everyone had made hugely inventive costumes, in which they were photographed into a Hull skyline.